The CFS Series tunnel finishers are designed for the shoulder-to-shoulder finishing of garments and are best suited for dry-to-dry finishing of garments. However, they are capable of damp-to-dry at slower production speeds. 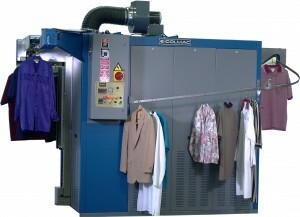 This series is ideal for dry cleaners, hotel laundries, institutional laundries and other on-premise laundry applications.